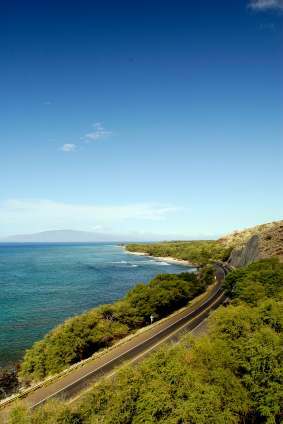 Maui Rental Cars: All You Need to Know to Make Getting Around Maui Stress-Free! What You Need to Know to Make Getting Around Stress-Free! Maui rental cars are a popular choice for us visitors who are looking for maximum freedom and flexibility while exploring the "Valley Isle." Of course, there are also a few other options for getting around Maui such as public transit, taxis, and resort shuttle services. Personally, I think a car rental in Maui is a MUST for any Maui vacation - click here to find out why, along with a tip that just might save you some money. But, all of that freedom and flexibility means it can take a lot of time planning just how to get around once you arrive in Maui. It's not like you'll be hiring a driver to get you around, right? If you're like me, the less time you have to spend planning, the better! So, to help you trim your vacation planning time, AND to make getting yourself around Maui stress-free, I've gathered together a few things that I wish I'd been able to find all in one place when planning a Maui vacation for ourselves! The first thing that almost everyone needing Maui rental cars wants to know is how long will it take to drive from one place to another once you get to Maui. How else are you supposed to know whether or not you can drive to Hana and back AND make it to that 5 o'clock dinner cruise you booked? Or maybe you want to check out Iao Valley State Park and want to know if you can squeeze it in between lunch and the Old Lahaina Luau! To help with those types of questions, I've compiled a listing of driving time estimates for the most popular tourist destinations on Maui. Although someone with a Maui rental car can drive pretty much anywhere, there are a few places that are often forbidden territory in car rental contracts. One such drive is taking the southern route to Hana. Our experience in traveling this southern route is a must-read for anyone considering this drive. And, since anyone driving around Maui needs a map, I've posted the ultimate map of Maui, Hawaii right here! Hopefully you will find it as helpful as I did! Stay tuned for more Maui info, resources and updates that will help you with getting around! Whether you're planning on using Maui rental cars, public transit, or your resort shuttle service, I hope you find this helpful!